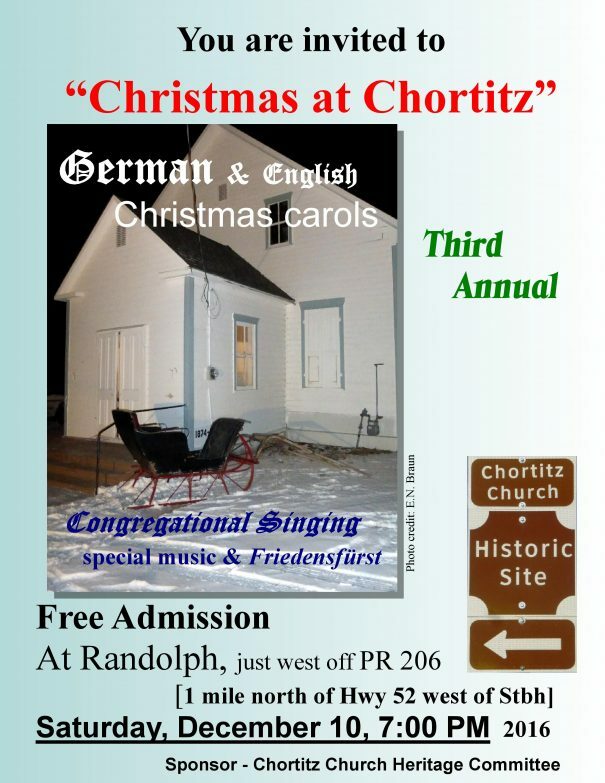 The Chortitz Church Heritage Committee is please to announce the third annual “Christmas at Chortitz”, an evening of German and English Christmas carols. 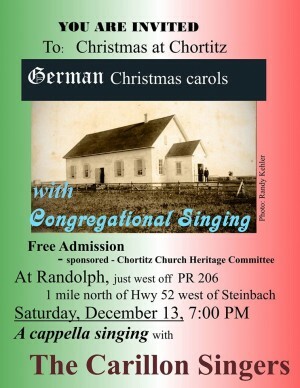 You are invited to attend this festive event in celebration of Christ’s birth, with special music & Friedensfürst. 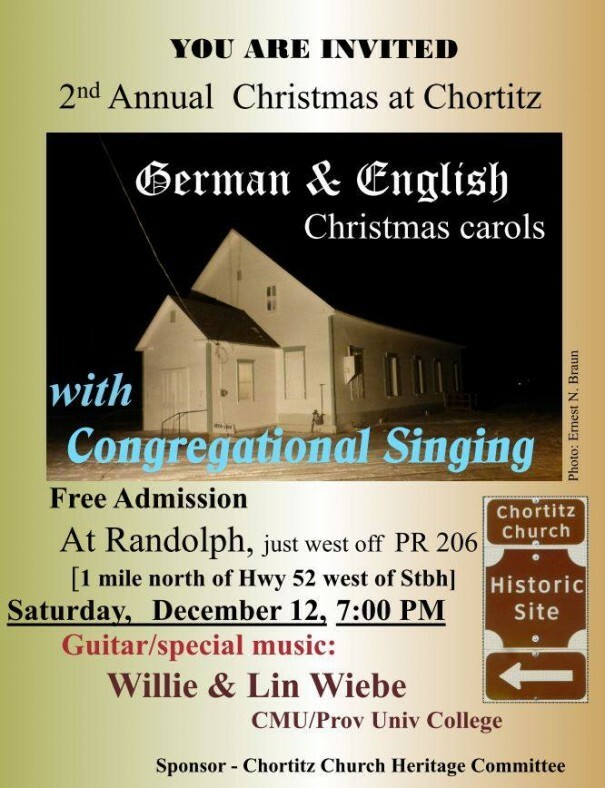 The Chortitz Church Heritage Committee is please to announce the second annual “Christmas at Chortitz”, an evening of German and English Christmas carols. You are invited to attend this festive event in celebration of Christ’s birth, with special music by Willie & Lin Wiebe. 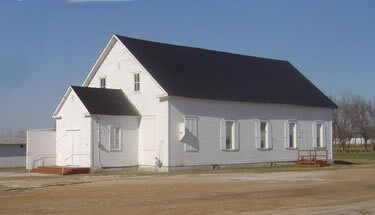 Saturday, December 12, 2015 at 7 PM in Randolph, Manitoba. 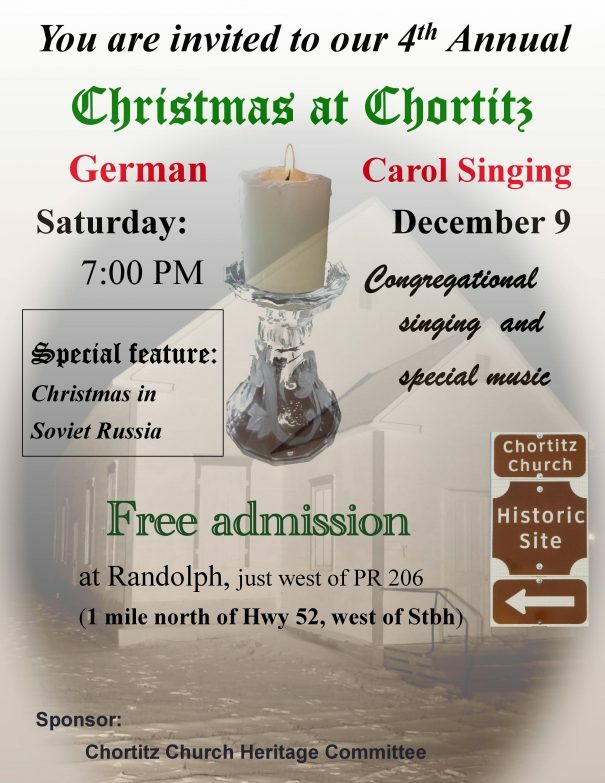 The Chortitz Church Heritage Committee is please to announce “Christmas in Chortitz”. You are invited to attend this festive event in celebration of Christ’s birth. Saturday, December 13, 2014 at 7 PM in Randolph, Manitoba. 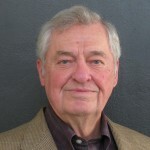 Please join the family and friends of Dennis Kehler for a celebration of his life Saturday, July 13, 2013. 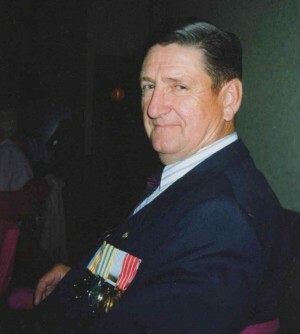 Please join the family and friends of Dennis Kehler for a celebration of his life as a loving husband, caring father, grandfather, great-grandfather, brother, decorated war veteran, and friend. A light lunch will be provided following the service. 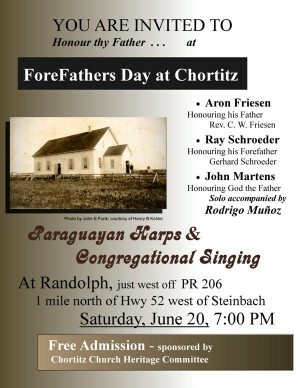 The Chortitzer Mennonite Conference is inviting you to a celebration of God’s grace on the Mennonite people at the Randolph CMC Church.